Do you have a passion for the Geneva Lake area? Do you enjoy history, meeting new people and making a difference in your community? If so, Black Point Estate & Gardens has special volunteer opportunities for you! We have a variety of positions that suit any interest or skill level. Help us share the history and legacy of the Conrad Seipp family!  Please contact (262) 248-1888 or Cruise Line: (262) 248-6206 or blackpointestate@wisconsinhistory.org for more information…. Duties – Our docents are trained to be the local experts on Black Point Estate & Gardens. You will bring history to life as you provide guests with a narrative about the Seipp family, and the house and gardens. Skills – We look for friendly, polite and punctual volunteers who enjoy working with people. You must be interested in history and comfortable speaking to the public with an entertaining and educational approach. Must be comfortable climbing in-house stairs to access 2nd floor and standing on your feet for a few hours. Duties – Observers shadow the docent guiding the tour to help keep a timely schedule and to ensure that guests do not touch or remove pieces of the collection. There is no speaking role requirement. Skills – We look for friendly, polite and punctual volunteers who enjoy working with people. Must be comfortable climbing in-house stairs to access 2nd floor and standing on your feet for a few hours. Duties – Our attendants show and describe merchandise to customers, restock displays and perform cash register sales. Skills – We look for friendly, polite and punctual volunteers who enjoy working with people. Must enjoy working in a retail environment and dealing with money and cash register transactions.